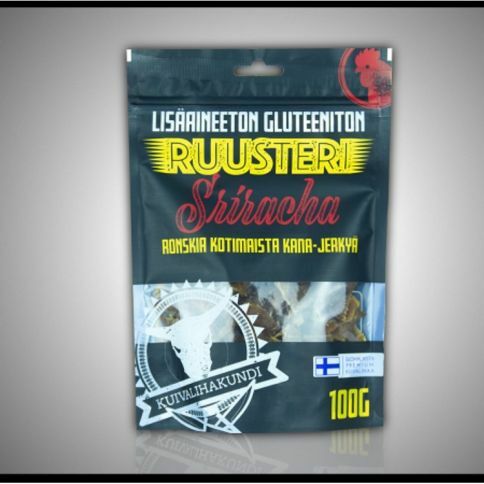 The Siracha chicken-jerky flavored with Kuivalihakundi´s own special sauce is heavenly good. Finnish chicken brest fillet with siracha sauce. 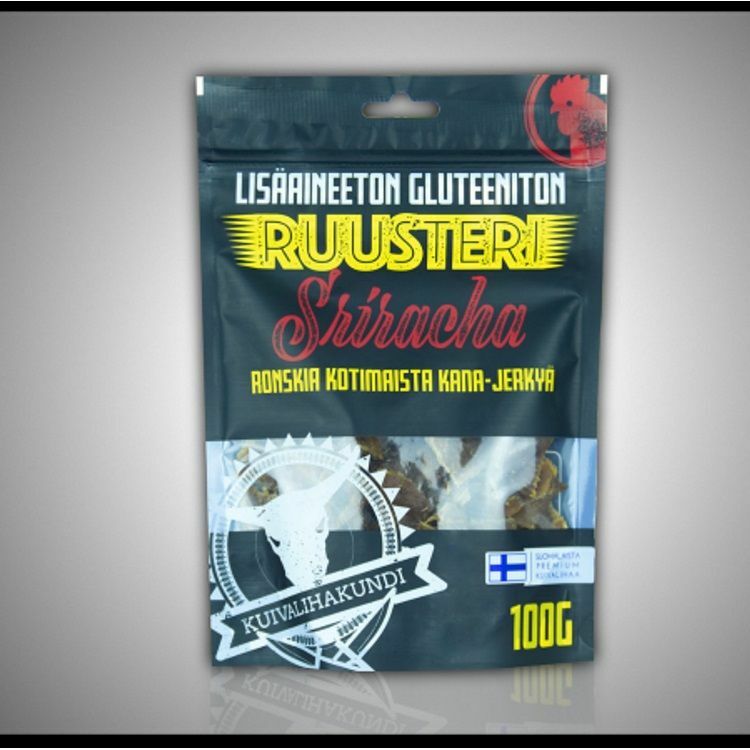 Although chicken meat is known to be low in fat, however, Ruusteri is not dry or chewy. The taste is heavenly and it´s also a geat source of protein. Kuivalihakundi´s tip: You can use Ruster as it is or you can enjoy a tasty chicken soup. If you do a soup, remember to simmer the meat properly so that the dry chicken gets soft. Siracha's taste dissolves in the broth and makes it heavenly. Ingredients: chicken fillet, gluten-free soy sauce (water, soy protein hydrolyzate, salt), red chili, sugar syrup, honey-apple vinegar, garlic.